Let’s play a quick word game… What is the opposite of a complaining, sluggish, and blame-game mindset? Did you say accountable, creative, and a solution-oriented mindset? Good for you, you’re 100% correct! 20 Jan Is Your Millennial Leadership Taking Ownership of their Sales Results? 60% of sales professionals are affected by the virus. Ugh! Accountability, responsibility, and ownership are crucial elements needed for vibrant business growth. However, CEO’s and business leaders tell me they see an alarming trend. Many of their emerging BDRs and salespeople seem to be infected with the blame-game, finger-pointing virus. What do you see when you analyze your sales professionals’ performance? 20 Jan Is your Millennial Leadership Getting Around to Reaching their Goals? A lack of accountability has many faces. Procrastination is one of the ways it shows up in the behavior of our millennial sales leaders and business development reps. Yes, procrastination is the cunning companion that prevents them from getting around to doing the things they want to accomplish. Have you observed procrastination in your sales team? In my Sales Audit work, I’m amazed by how often we see a lack of accountability in the entire sales team. It’s like a virus that infects every function of the sales process. Have you observed this virus in your Millennial Sales Team? Really? Character? Why are you talking about character, Danita, when what we really need are sales strategies to hit our growth targets and sales numbers? Does character really make a difference? In a recent Forbes article, I share Steve’s story. His lack of accountability caused him to lose his prospect’s trust – and the sale. 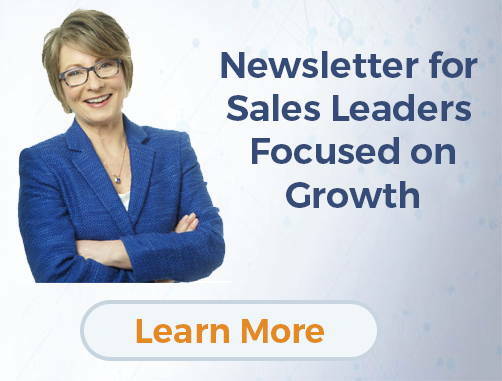 Join the newsletter to explore new B2B Sales Growth Strategies, Leadership Insights & Sales Tips.